Goodyear’s internal tests show that Eagle EfficientGrip is the company’s quietest tyre ever. Furthermore, based on external tests on wet-braking performance, the tyre outperforms a leading competitor in its class. 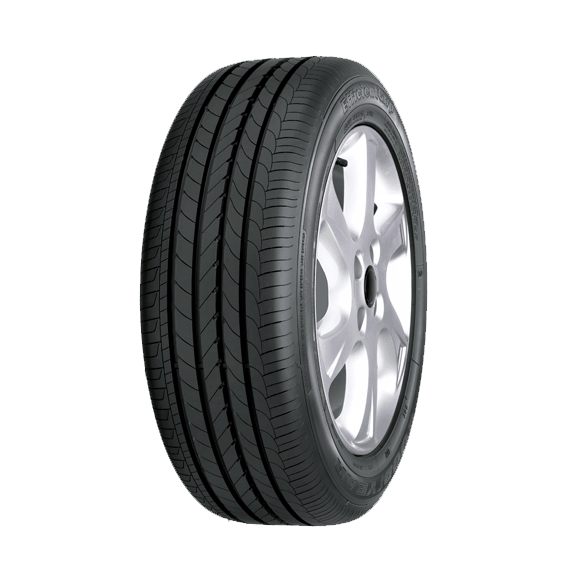 Noise Dampening Tread Design Closed shoulder design prevents radiating radial noise sound waves to reduce exterior and interior perceived noise level. Balanced block distribution provides smooth block entering into the footprint to lower the impact noise and reduce the radiated noise. Perpendicular edge blading gradually reduces the block stiffness, lowering the block movements and reducing the propagated noise. This program protects your Goodyear Eagle EfficientGrip tyres against road hazard damages.